The 2018 Galway Racing Festival will kick off next Monday, July 30 until Sunday August 5 at Ballybrit Racecourse. 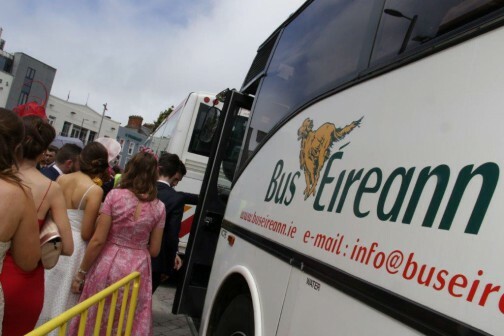 Bus Éireann will be providing direct Special Shuttle Services for race-goers for the seven days of this hugely popular event. The services will run to and from the heart of Galway city at Eyre Square to the track. On Monday, July 30, Tuesday July 31, Wednesday, August 1 and Friday, August 3 buses will depart at 14.00 from Eyre Square West to Ballybrit – every 15 minutes – up until 19.00. Buses will depart from the racecourse on demand, up until 23.00. On Thursday, August 2, Saturday, August 4 and Sunday, August 5 shuttles will depart Eyre Square West from 11.00 until 16.45 every 15 minutes or as required, and will return immediately after the races, up until 21.00. All buses will be directed through the tunnel entrance, dropping customers off within 50 yards of the buzzing Ballybrit course. Adult tickets cost €6 single or €9 return. Tickets for children are available at €3 single and €5 return. Tickets can be purchased on the day of travel on-board the bus. Customers should be aware that these special shuttle services are in addition to all our local city routes and Expressway services that travel in and out of Galway city. 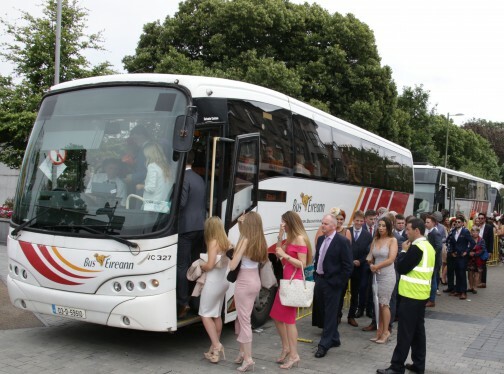 “Ireland’s biggest and most famous racing festival in Galway will attract hundreds of thousands of people from all over Ireland and abroad,” said Brian Connolly, Regional Operations Manager West, Bus Éireann. “We are delighted to play our part working with all stakeholders to ensure racegoers experience the fun, craic and excitement this famous festival has to offer. Customers can sit back, relax, enjoy the journey and forget about the hassle of taking the car,” he said.